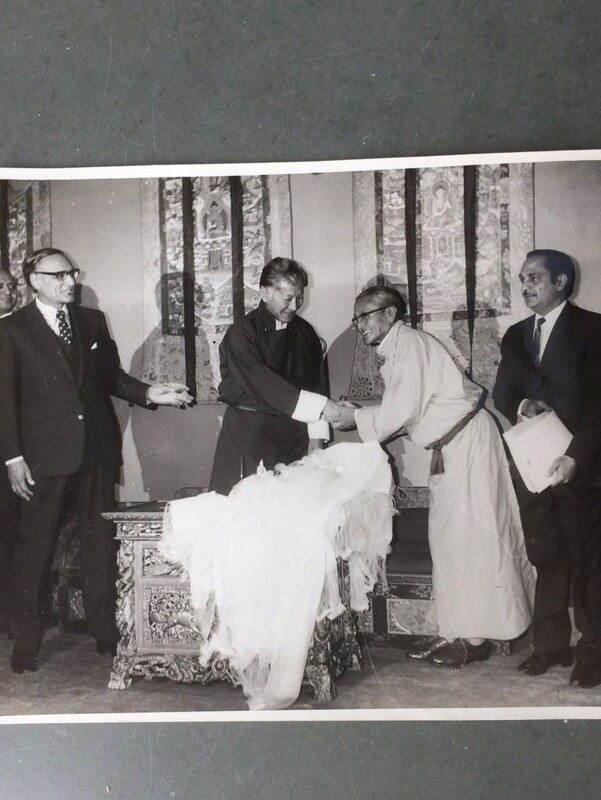 The merger of the erstwhile Himalayan kingdom of Sikkim into India in May 1975 was the result of a top secret operation by India’s external intelligence agency, Research & Analysis Wing (R&AW), says a book by a retired senior official who was involved in it. Author GBS Sidhu receives Indian Police Medal for meritorious service (awarded on the occasion of Republic Day 26 January 1976) from Prime Minister Indira Gandhi at the Investiture ceremony held at 1 Akbar Road on August 6, 1976. “Sikkim Dawn of Democracy: The Truth behind the Merger with India” authored by G B S Sidhu and published by Penguins, provided graphic details about how the operation was initiated in February 1973 by the R&AW’s founder chief Rameshwar Nath Kao after then Prime Minister Indira Gandhi asked him to work for bringing Sikkim within the Indian fold. 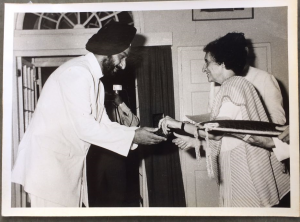 After its decisive military intervention to liberate Bangladesh in 1971, India had to reckon with considerable Chinese hostility and US opposition and so keeping the Sikkim operation a closely guarded secret held the key to its success, Sidhu told the Diplomat in an interview. Describing Sikkim’s merger with India as a “momentous event in the annals of modern Indian statecraft”, Menon commends Sidhu’s book for “setting the record straight”. (God King) Palden Thondhup Namgyal, whose assertion for greater independence, ostensibly under the influence of his American second wife Hope Cooke, had rattled Indira Gandhi. From left to right: Manikam Principal Director DGS, R N Kao Secretary (R), G.C (Garry) Saxena Joint Secretary (later Secretary (R) and Governor J&K) and author G B S Sidhu after the investiture ceremony at 1, Akbar Road , New Delhi on August 6, 1976. Books on Sikkim’s merger with India have either accused India of outright annexation or treated it as the inevitable fallout of the pro-democracy movement in the kingdom. But Sidhu, a former special secretary of R&AW and its station chief in Sikkim capital Gangtok in the months leading to the merger, provides details about the neatly phased and calibrated operations run by a three member special operations team functioning under guidance of R&AW’s then chief R.N Kao and its eastern regional director P.N. Banerjee. 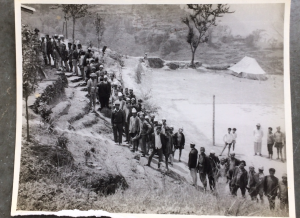 “The operation was so secret that its ultimate objective of merging Sikkim with India was known only to three officials – Kao, Banerjee and myself,” claims Sidhu. The two other R&AW officers in the special team – Padam Bahadur Pradhan and Myngma Tshering – were only briefed about the next phase of the operation when one phase was over, he says. Sidhu told Northeast Now that Sikkim’s merger stabilised India’s control over its disputed Himalayan borders with China as its ‘weakest point’, much as India’s military intervention in 1971 had created a friendly neighbour. 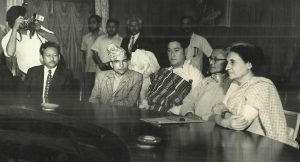 “The geopolitical significance of both the liberation of Bangladesh and the merger of Sikkim with India is enormous, as it made India the undisputed prima donna in South Asia,” says political scientist Sabyasachi Basu Raychowdhuri. Independent India had overlooked the pro-democracy movement in Sikkim since Independence and let the monarchy function until late in 1972. Long queue of voters outside a polling booth in West District of Sikkim on April 15, 1974. Election held on one-man-one-vote system under the aegis of Election Commission of India. Sidhu provide details about how the pro-democracy political parties, specially the Sikkim National Congress (SNC), were funded and micro-managed to intensify their agitation for abolition of monarchy without disclosure of India’s ultimate objective. 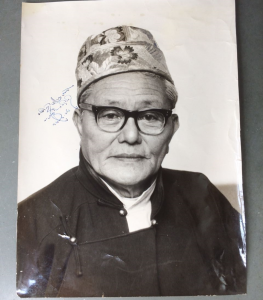 Kazi Lhendup Dorji who devoted his life to free Sikkim from Chogyal’s autocratic rule. He became the Chief Minister of Sikkim after its merger with India. Signed photograph given by Kazi to the author of the book. Sidhu says that once the message that India would no longer back the palace became clear, the political parties intensified their movement and India used it to push the Chogyal to give greater powers to the state assembly and the administration of the kingdom was effectively taken over by Indian officials. The empowered assembly then resolved to join India and a referendum put the seal of popular approval for the merger. “It was a brilliantly phased and calibrated operation that unfolded behind the cover of the pro-democracy agitation and was so different from the Chinese military takeover of Tibet or the recent Russian takeover of Crimea,” says former R&AW official Rana Banerjee ,who recently headed a committee on intelligence reforms. He says that the Sikkim operation was marked by an absence of force which usually accompanies such takeovers of smaller nations by bigger ones. “So it will be unfair to call it annexation, as we just used popular feelings to achieve our objective through a political operation in which the military option was hardly exercised,” Sidhu told Northeast Now. 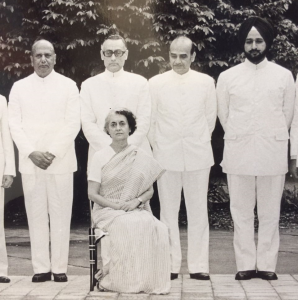 Delegation of Sikkim Congress leaders led by Kazi calling on the Prime Minister Indira Gandhi to thank her after the passage of the Government of Sikkim Act 1974 . From left to right: Senior leaders C.S Rai and B.B. Gurung, Youth Congress leader N.B. Khatiwada, Lepcha leader Rinzing Togden Lepcha ,Kazi Lhendup Dorji and Prime Minister Indira Gandhi. The only time the Indian army was used was to disarm the pro-monarch Sikkim Guards in April 1975 just before the state assembly was to move the final resolution for merger with India – and that because “we were told they would intervene to block the resolution and could even assassinate some pro-democracy leaders on orders from the Chogyal,” said Sidhu. “This account is based on a diary the author meticulously maintained and some archival sources of the Ministry of External Affairs and the Prime Minister’s office,” says former R&AW chief Vikram Sood .